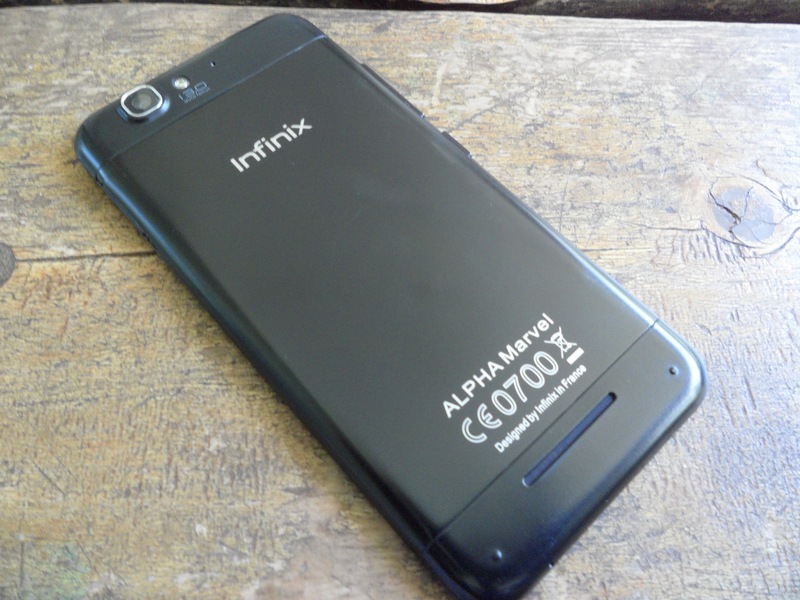 Its been just over a month since I got my hands on the Infinix Alpha Marvel, also known as the X502. The Infinix range of smartphones only launched in Kenya around November 2013 with their Alpha model and already they are making waves in the marketplace. 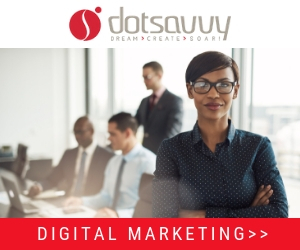 I had the opportunity to attend their media launch and also did a blog post on the same here. One thing Infinix has going for it is (as they keep punting) that their smartphones are designed in France although they are manufactured in China (which is where everything under the sun is manufactured these days). 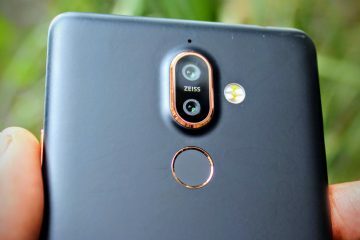 Infinix’s ‘French connection’ means that the overall look and feel of their mobile devices is top notch even if their brand name still raises eyebrows in a sea of Samsung, LG, Tecno, Huawei, and other much better known mobile brands. Although I have had the Alpha Marvel for over a month, it was only officially launched in Kenya last week in conjunction with Safaricom. 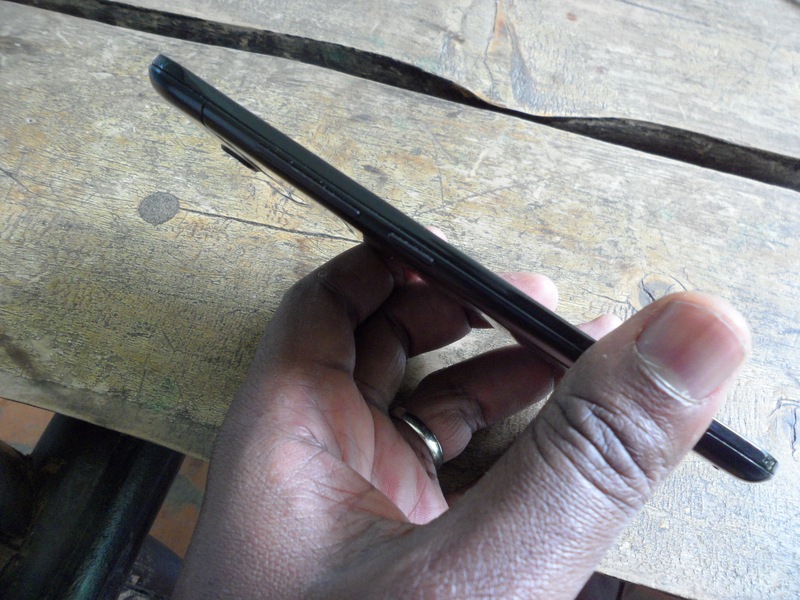 The Alpha Marvel is being sold at retail through Safaricom’s network of shops nationwide at a competitive Kes. 30,000.00 with 500MB of free data. This is bound to push the numbers in the market massively given that Safaricom’s marketing machinery as the largest mobile network in Kenya is nothing short of gargantuan. That being said, launching the Infinix Alpha Marvel is one thing and the experience of using it is quite another – which is why it’s always so much fun for me to do mobile device reviews as the proof is always in the smartphone pudding, so to tap. 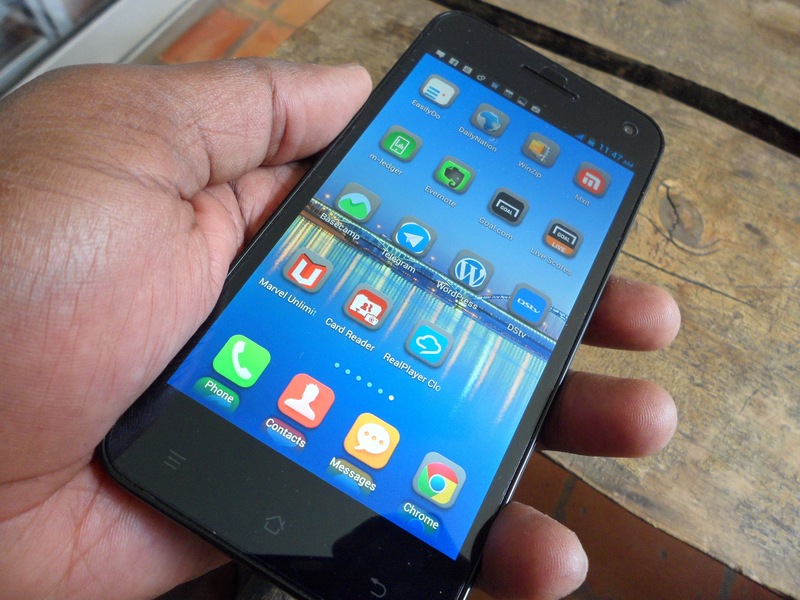 Screen Size – The Alpha Marvel has a massive 5 inch HD screen which is increasingly becoming the normal size for mid-range to high-end smartphones. It is easily is the largest smartphone I have used for an extended period of time from this perspective so I loved every inch of the large screen size. However, even though its an HD screen and the resolution is more than decent, its not at the level of an AMOLED screen as one finds on many high-end smartphone brands like Samsung and Nokia. Personally, I had no issues with it. The other thing is the screen is NOT made from Gorilla Glass meaning that it’s not as resilient as what you would find on other high-end mobile devices making it easier to scratch or crack. However, out of the box, the screen comes with a screen cover so this helps. Ultimately, it worked for me and I had no complaints. Battery Life – I am a smartphone buff so I have used my fair share of smartphones running the whole gamut from big to small, as well as cheap to expensive over the last few years. Therefore, on the basis of this experience, one thing that stands out as the norm is how good or bad battery life can be in terms of the utility you get from a smartphone. 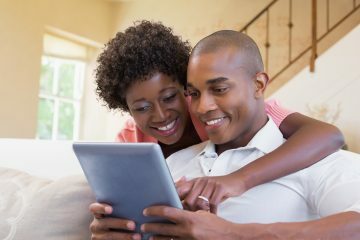 In my experience, most smartphones have horrible battery life if you are a heavy mobile internet user and its unlikely you can get through a whole day without needing to recharge. However, the Alpha Infinix is a beast when it comes to battery life! This was a super pleasant surprise since I would fully charge the phone overnight and then get through a full day pushing it for all its worth and the battery life would just keep going, and going, and going! It does not hurt that the Alpha Marvel comes with a 2500 mAh battery which does the trick. I actually stopped carrying my trusty power pack completely as a back-up just in case the Alpha Marvel ran out of juice, since it never did. In addition, one of the things I noticed is that the Alpha Marvel’s battery never got excessively hot when you used it which is really nice. Slimness – Although the Alpha Marvel is big in terms of the 5 inch HD screen and form factor, it is really (and I do mean really) svelte in terms of how thin the phone is. The Alpha Marvel comes in at an astonishing 6.98 mm which is as thin as anything out there when it comes to smartphone ‘svelteness’. At the same time, the Alpha Marvel is remarkably light in weight given its large screen and form factor? I am not sure how Infinix managed to pack in so much capability into this slim phone but it works just fine and there are no compromises. Its a decent piece of technology engineering that Infinix has pulled off with the Alpha Marvel. 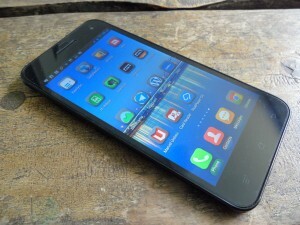 Performance – As mentioned earlier, I am something of a heavy user when it comes to smartphones. What this means is that right out of the box there are numerous mobile apps I have to install and get working so that I can get the full range of utility I need in a smartphone to function at peak performance. Therefore, again, I was super surprised with the Alpha Marvel since it was able to handle everything I threw at it. The Internet was really good and 3G connections worked well. At the same time, it does not hurt that it has a Quad Core 1.5 GHz Processor and 1GB of RAM which makes short work of whatever needs doing on it. The Alpha Marvel also comes with version 4.2.1 of Android Jelly Bean which is now slightly outdated following the launch of Android 4.4, ala ‘KitKat’. Camera(s) – The Alpha Marvel comes with an impressive 13MP rear facing camera as well as an equally impressive 5MP front facing camera. I love taking photos with my smartphones and the Alpha Marvel did not disappoint. I regularly took all kinds of shots and plugged them onto Instagram as well as my computer. I did some really impressive photos of Nairobi’s expansive skyline several times and the results have been stunning. The only caveat is that night shots with the flash always seemed to have variable results which left me pouting. 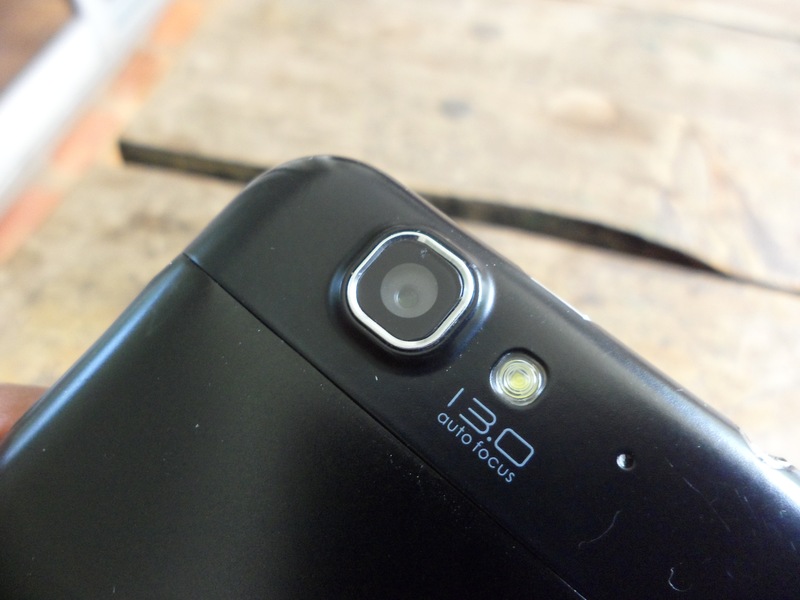 But, all in all, a 13MP rear camera and a 5MP front camera at a price point of Kes. 30,000.00 seems like a hell of a good deal to me! Packaging – As previously mentioned the Alpha Marvel has an impressive 5 inch HD screen which is packaged in a rather svelte form factor. 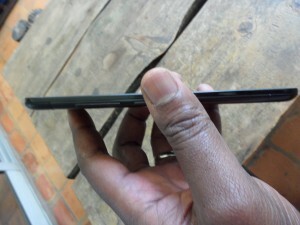 The phone itself has a black matt plastic finish. One of the intriguing features is that for the phone to be so thin and tightly packed is that it is a unibody like an iPhone or Nokia Lumia meaning you do not have access to the innards of the phone like the battery. 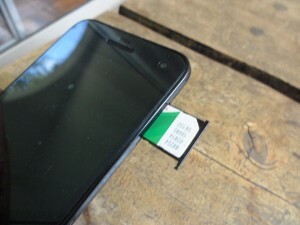 At the same time, the way you insert and remove the full-size SIM Card is like an iPhone in that you have a SIM tray which is ejected using a pin. 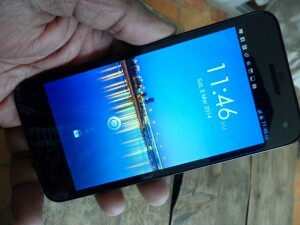 These features make the Alpha Marvel have a high-end feel to it even through its actually priced competitively? In addition, I found the Alpha Marvel to be quite durable with no major noticeable nicks or scratches over the past month or so which is impressive. I know of much more expensive mobile brands that would be nicked and scratched all over the place after a month outside a cover so this is a really durable phone. Memory – Even though the Alpha Marvel has 1GB RAM which is impressive, one of the downsides is that its limited to only 16GB of non-expandable on-board flash memory. For users who are keen on storing loads of content such as videos, photos, movies and large games, this could be a problem since 16GB will get filled up in no time at all on this basis. In my own experience, I never actually maxed out the16GB but this was obviously intentional since I opted not to download large movies or store large HD videos on the same. That being said, smartphones are increasingly moving to a standard of 32GB or more of fixed flash memory which can be expanded many times over with a MicroSD card. So, for users who need that kind of space the Alpha Marvel will prove somewhat(?) disappointing. Music – I often used the Alpha Marvel for music. I found the sound quality to be acceptable using the provided buds but opted for my more expensive buds which gave me a much better quality of sound when compared. Ultimately, like most Androids, the Alpha Marvel worked well enough for my music listening needs on the road, and at home. Phone Controls – One of the things that initially irked me about the Alpha Marvel from a user experience design perspective is why they decided to place the on and off button right next to the volume rocker?! Both of these are located on the left side of the device, literally next to each other. This is contrary to most smartphones where in most instances the volume control is on the left and the on and off button would either be at the top or the right hand side. I do not know if this was an unintended design flaw but its irritating since its hard to tell whether your pressing the volume control or the on and off button if you are not looking at the phone. It’s a small detail but certainly one that could have been avoided by Infinix in my opinion. Good review right there. The cost at GBS is now 27k which is ok,no problem with is. I hope it has maintained the plusses you cited. @elnour check the safaricom shops. They are selling them. @peter really? Its a 13MPX camera so it actually takes really decent photos in my experience? Not sure why yours could be having a problem. I am in the market for a mid range phone. I am the kind that goes for durable ones. The one I have now I bought in 2010 and it still works fine, but just want a replacement. It even once fell from a moving car on tarmac, screen down, and nothing happened. 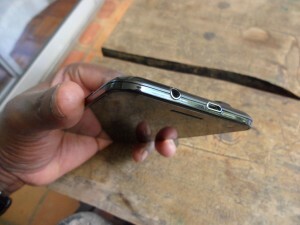 If the screen is not durable enough then I would not go for it. I am looking for a phone that will take me for the next 4-6 years – unless it is stolen. 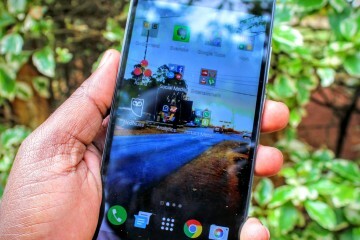 I have seen it in a shop, i just love the phone,it picture quality is lovely(100%).Please how can i get one for free. I have own this so called Infinix just for 2 weeks now and it just went off while i was going through the phone programs. What could be the problem and how can i resolve it? thanks in advance for the assistant. @McMayor hope you managed to get this sorted out? @John please check with Safaricom? Yes i tend to agree with what Moses said. I have had mine for the last 6 months now. It is an awesome phone with very clear images from the camera. However today I cracked my screen and the screen has hanged. I can see calls coming through but i can’t be able top answer. If you can kinldy advise on how to unlock the screen. @Mrs.Lorenzen sorry to hear you damaged the phone. 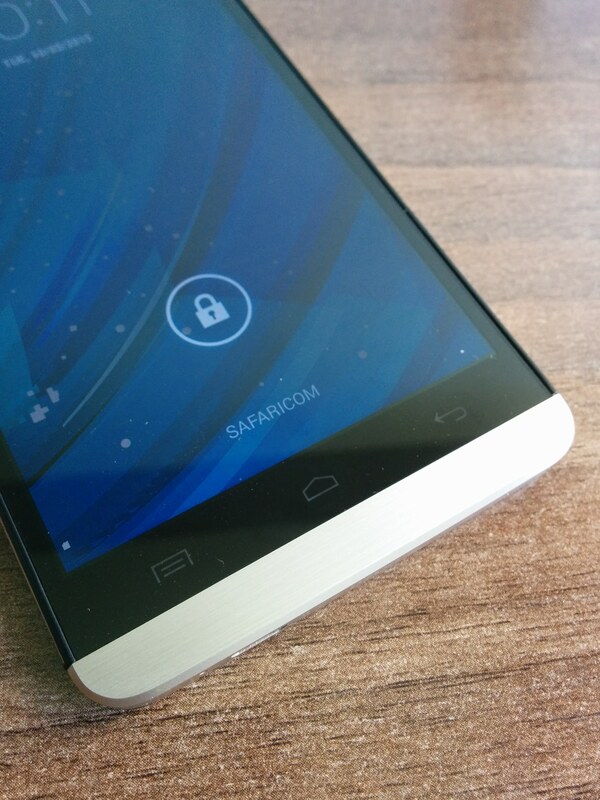 Have you been to the Safaricom shops? I have used it for the last 5 months, and i enjoy the services. It is really a good phone. i can only afford infinix zero x506 but it’s yet in safcom shops,where else can i get it?plse advice. @edwin I do not know where else you can get it. @joe I have no idea. 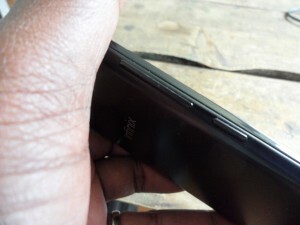 I bought my phone last October 2014 Infinix Alpha just the one you profiled but the screen cracked.Could you advice where to take for replacement in Nairobi. @jsuter I do not know? Did you check with the shop where you purchased it? yes i went to Safaricom Shop who refered me to their repair Centre in Nairobi. my infinix X506 is speaking whenever i press any function on it, how can this be stop pls?